We are so excited to announce that Sensory Access is partnering with one of Seattle’s most awesome Music Festivals this year, Capitol Hill Block Party! The iconic Capitol Hill festival takes over six blocks of Capitol Hill in Seattle for three days of local and national artists on five separate stages. 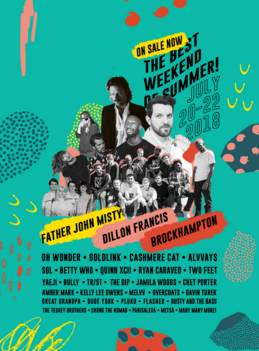 This year’s lineup includes epic mainstage artists such asFather John Mist, Oh Wonder, BROCKHAMPTON and Dillon Francis, as well as other artists to revel in such as Quinn XCII, Yaeji and Parisalexa. Sensory Access will be on hand to help those with sensory difficulties find quiet areas, give tips for safe sensory viewing and hand out sensory tools. If you have sensory difficulties and would like to attend, contact us! Sensory Access can provide therapists to assist, or just help guide you through the various events. Stay tuned for more details!